HASULITH® Nickel-Test a quick and easy method to detect nickel in metals, alloys and galvanic layers. Usually the test can be carried out without destruction or damage of the object. HASULITH® Nickel-Test is a qualitative quick-test - a quantitative statement about the nickel-content or nickel-release is not possible. Nickel is well known to be an element which can cause allergies especially on frequent or permanent contact with the skin. Mainly women suffer from this problem. In many cases the allergy is caused by wearing jewelry/fashion jewelry, watches etc. which contain nickel. This wide spread health-problem have lead to legal restrictions and regulations. For example in Germany there is a decree called: „ Bedarfsgegenständeverordnung - 7. Änd. d. BGV vom 24.06.2000 siehe Bundesgesetzblatt I, Nr. 27 vom 23.06.2000, Seite 849 „. This decree concerns about the maximum nickel release of commodities (including jewelry/fashion jewelry, watches, buttons etc.). The limit value of nickel release was fixed to max. 0,5 µg/cm2/week. The detailed directions for detecting the nickel release values are written down in DIN EN Standards (DIN EN 1810/1811/12472). 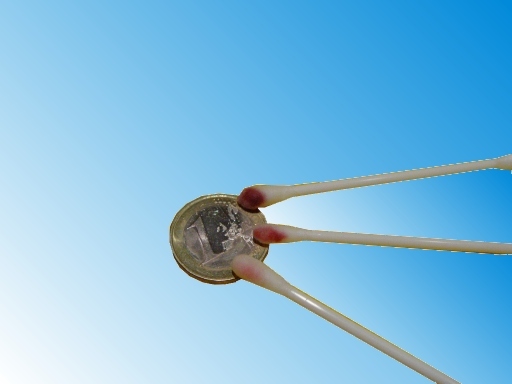 Unfortunately the investigations according to the DIN EN Standards are very time consuming, expensive and need the equipment of a professional analytical laboratory. Our HASULITH® Nickel–Test can not replace or substitute this detailed, time consuming investigations but it `s possible to get a quick information whether an object contains noteworthy amounts of nickel or not. 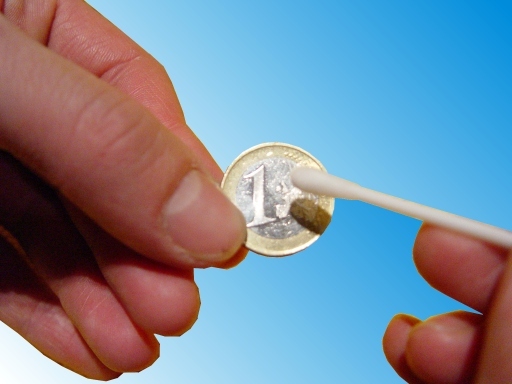 If the test shows a colour-reaction ( a weak red colour is enough ) you can be sure, that the limit value of nickel-release is already overceeded. 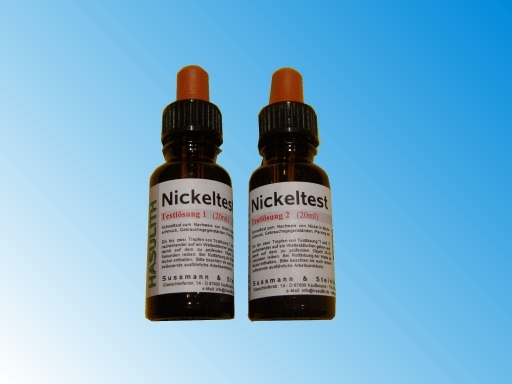 Our HASULITH® Nickel-Test set consists of two glass-bottles with two different analytical solutions. For the test you put two drops of solution No.1 and two drops of solution No.2 together on a cotton-wool padded small rod. Then you rub thoroughly for half a minute on the surface on which you want to detect nickel. 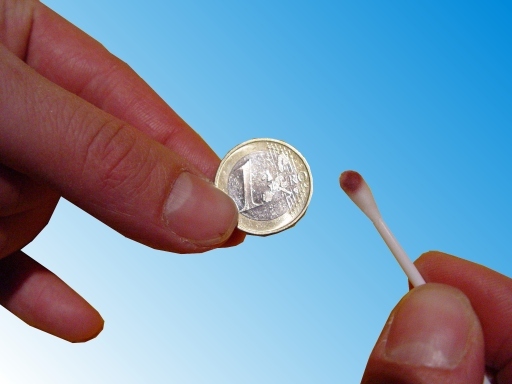 If the white cotton-wool shows red colour you can be sure that the tested object contains nickel. The red colour shade can vary between a pale rose-coloured and a deep cherry-coloured shade ( the deeper the red colour the more nickel ). Alloys with high copper-content will show a dirty-green to brownish colour reaction. The surfaces you want to examine about nickel-content have to be clean to avoid misleading results by abrasion of dirt. If the surface you want to examine is coated - e.g. with a lacquer - the coating must be removed before you start the test.